PLEASE light a candle and say a prayer for all these children and their families today. Also, PLEASE keep in mind that this list is only those that Jill knows about, and sadly there are probably many more that are not made public. 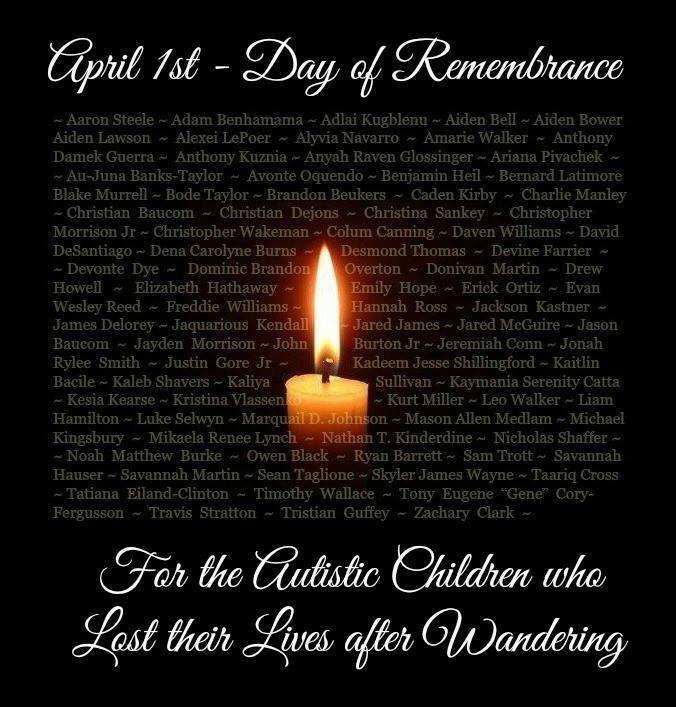 PLEASE also say a special prayer for the Autistic adults, who may have suffered the same fate, but their story was not publicized. April is Autism Awareness Month. If there is only one piece of information you share this month, PLEASE let it be… ALWAYS CHECK THE NEAREST BODIES OF WATER FIRST (this includes pools), whenever an Autistic individual goes missing.